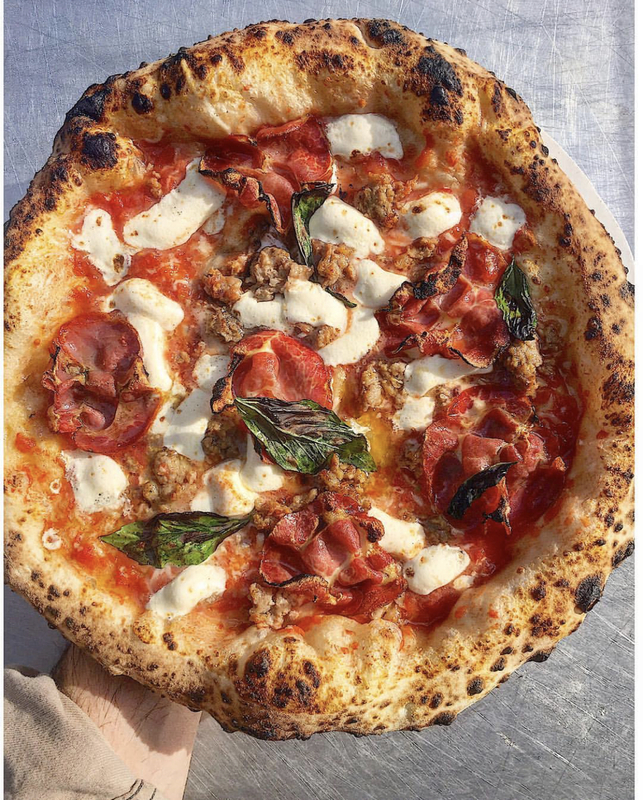 Avelino serves up Neopolitan-style pies and can be found parked outside Macari Vineyards’ Mattituck tasting room. 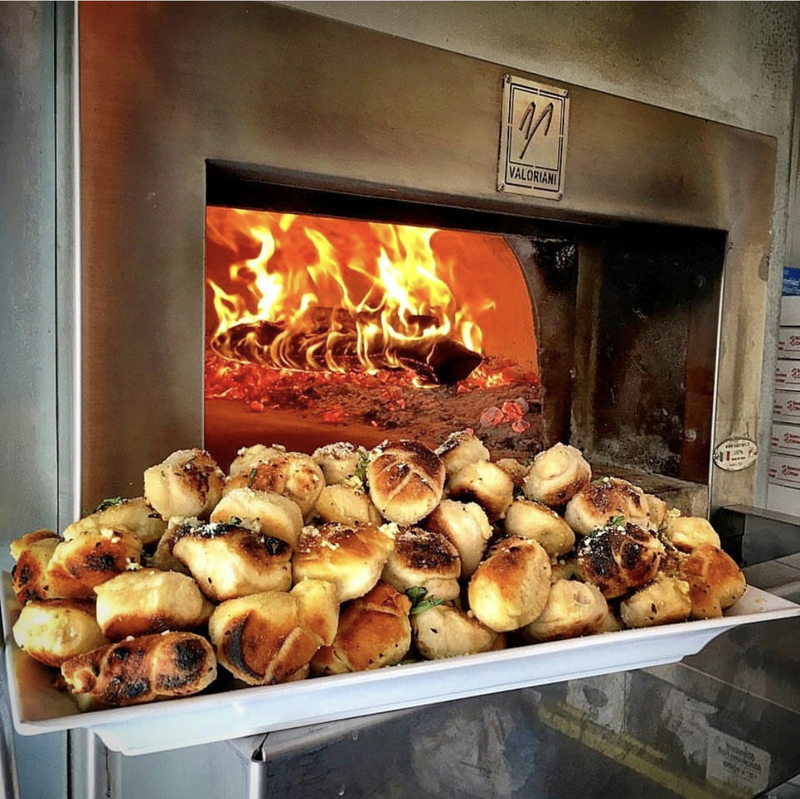 The custom made pizza shop on wheels houses a Stefano Ferrara wood-fire brick pizza oven (which reaches a roaring 800 degrees) and large sliding glass doors, giving diners a full view of the kitchen. Guests will taste the difference with mozzarella delivered weekly from Brooklyn’s Pecoraro Cheese, red sauce simply made from canned San Marzano tomatoes, crushed and salted and produce for the toppings grown locally. Sure you can order in pizza from your favorite pizzeria, but how about having it made in a truck right outside your doorstep? Rolling in the Dough Pizza does just that for special occasions. 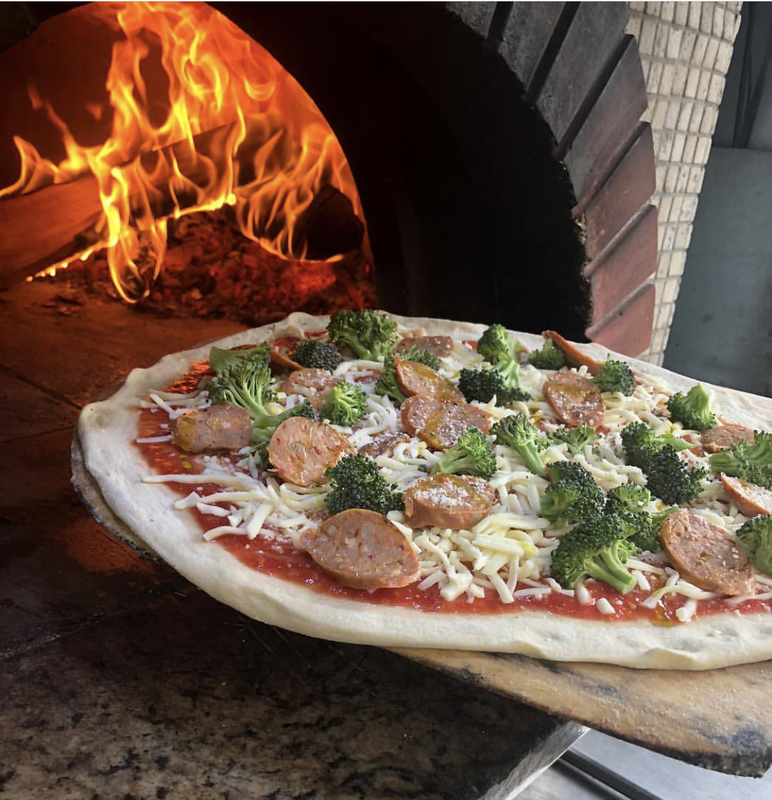 The pizza truck will arrive and cook your pizza in a fully restored, vintage 1943 Harvester truck, which has a wood-fired, brick-oven pizza truck built in. The truck can also be spotted at various locations on the North Fork of Long Island during the summer and fall. 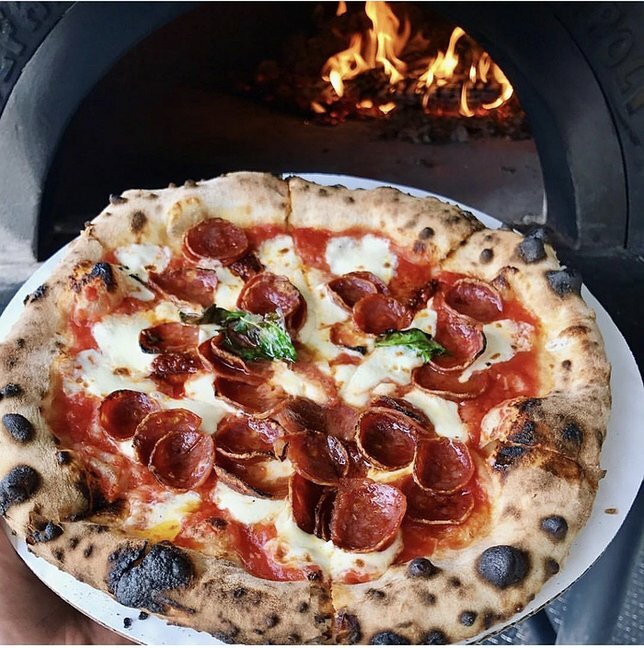 Founded in 2015, Pizza Rita is a 1946 Chevrolet Rack Truck, outfitted with a Mugnaini Wood Fired Oven. Pizza Rita serves up the tastes pies in their unique wood fired pizzeria on wheels for. Pizza Rita serves some of the highest quality and most authentic Pizza Napoletana on Long Island, with toppings sourced from local farms on the North Fork as well as from certified purveyors. Rent the truck for your next party, or check them out at local Long Island events. North Shore Animal League's Four Legged Friends: Meet Bandit, Jace, Effie, and Bowser! Subject: LongIsland.com - Your Name sent you Article details of "These Four Long Island Pizza Trucks Roll in Style"